ActivePlay is an interactive Cinema & Television ecosystem, presenting interactive media creators with the opportunity of diffusing and monetizing their creations and audiences with innovative tastes the opportunity to be part of the interactive cinema and TV sensation. 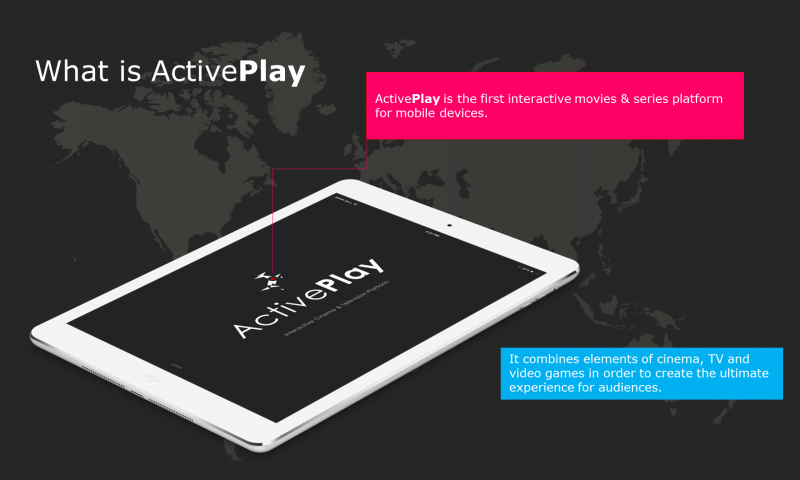 ActivePlay consists of a creators’ web platform and a viewers’ smartphone client for the iOS and Andoid smartphones and smart TVs. It features and hosts interactive movies and TV series where creators can monetize their content easily. The idea behind ActivePlay is that the audience can choose a movie or an episode, watch it and make decisions on the course of events that are going to happen, leading each time to a different ending. ActivePlay aspires to bring interactive elements to conventional content and create a next generation of multimedia content distribution. I was asked to help the team identify the nature of their product and help them build their information architecture by working with a team of experts from Television, engineers, artists, AV specialists and the marketing team. At the beginning we started doing a competitor analysis but the greatest challenge was trying to find who we were! We worked on the product identity. Through countless discussions, activities, post-it sessions, card games, outdoor games, video games or any other type of activity or game that was proposed by the team, we came up with an initial idea about our ActivePlay, an interactive Cinema & Television platform for mobile devices. ActivePlay identified its position in the online multimedia ecosystem, was built on the shoulders of its competitors and predecessors and came up with a set of services that would fill a particular void in the market. 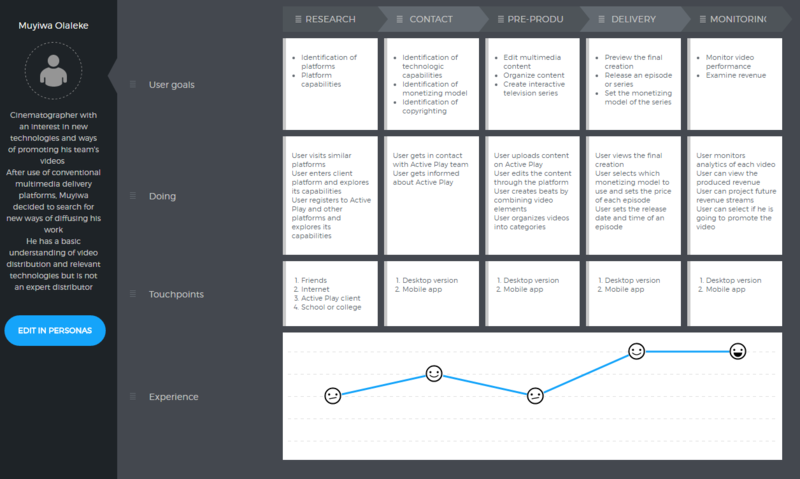 Having a starting point, we worked on user personas and created experience maps for those characters. Having a more clear idea of our audience, players and resources, the team proceeded with an initial thorough definition of the product by creating an Information Architecutre map. The broad range of devices and platforms supported by ActivePlay posed a great challenge on defining the MVP on which the team would work. The development of the platform later continued with the design of a prototype, which will be presented in another post.